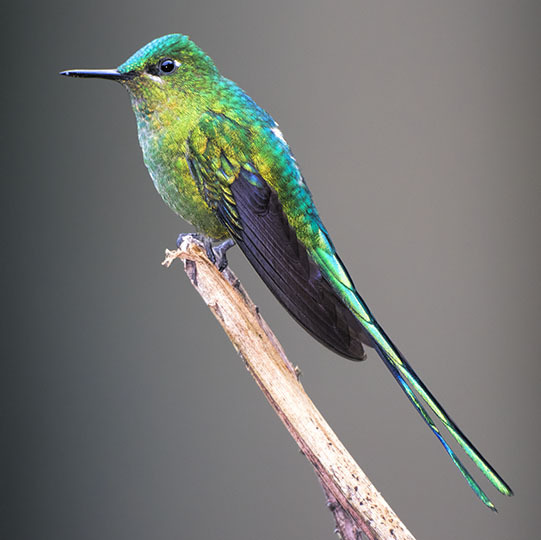 Long-tailed sylphs are common but spectacular cloud-forest hummingbirds in northern South America. 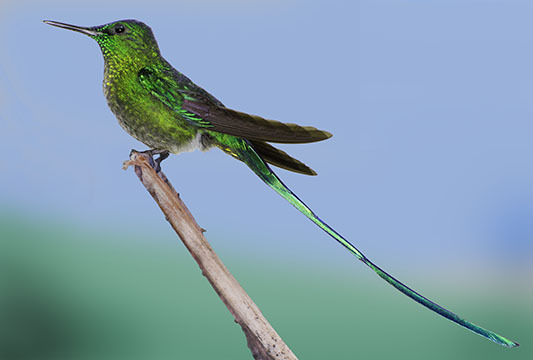 Adult males (above right; bottom) have extremely long blue-green tails; juvenile males have shorter tails and females (above left) look like a different species entirely. 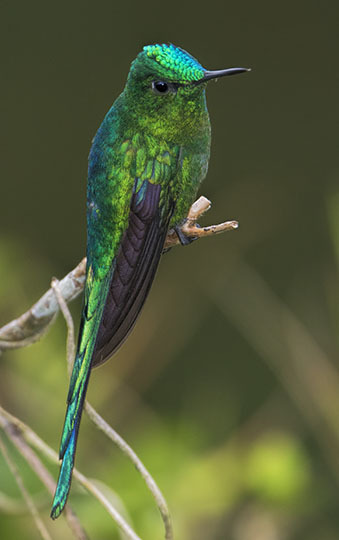 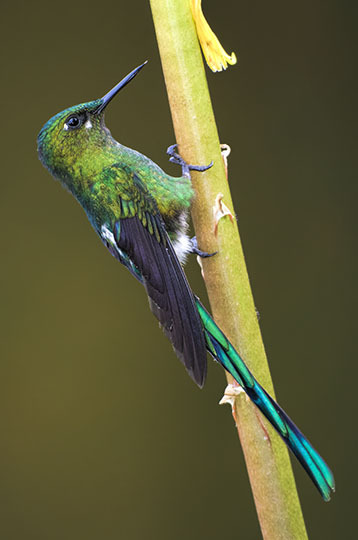 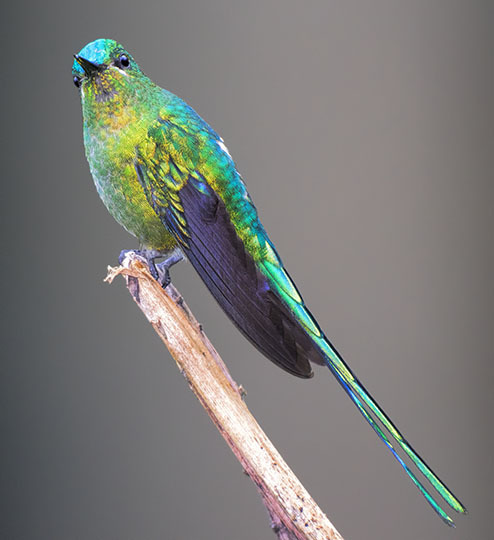 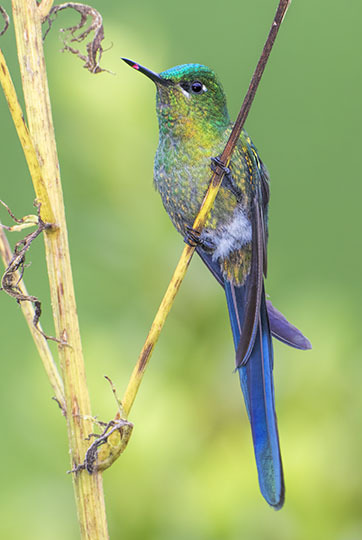 The otherwise similar violet-tailed sylph has a striking purple-blue tail. 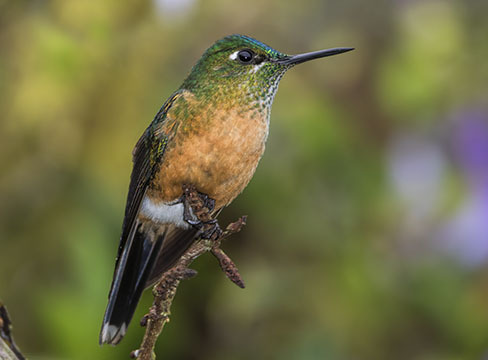 These were photographed at about 2000 m elevation in the mountains above Cali and near Manizales, both in southwestern Colombia.